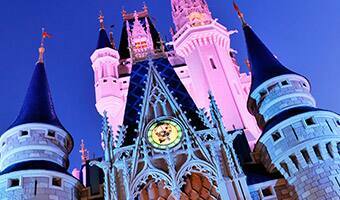 Step off the field and into the magic of Walt Disney World Resort. When you compete at ESPN Wide World of Sports Complex, your sports travel experience doesn't end when the last whistle blows. Experience the world-class Walt Disney World Theme Parks or cool off in the wave pools and water-coasters at the two amazing Water Parks. Step into a world of fantasy filled with timeless adventures. And there is no better way to celebrate your team's trip than with fireworks viewing on Main Street at Magic Kingdom Theme Park. Need a night away with the parents? World Showcase at Epcot features culinary experiences from around the world. You can travel the world or touch tomorrow fueled with the power of imagination. Take your team to experience spectacular entertainment and Hollywood thrills like Rock 'n' Roller Coaster starring Aerosmith at Disney's Hollywood Studios. Journey on incredible adventures with creatures both real and fantastic. 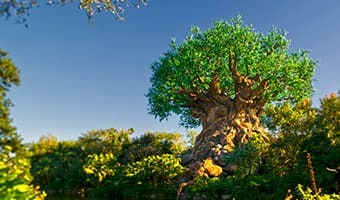 Or sit down for Broadway-quality theatrical shows like "Festival of the Lion King" at Disney's Animal Kingdom Theme Park. A tropical water park oasis where you can snorkel with sharks, stingrays and tropical fish before catapulting yourself on a water-coaster! And for the less adventurous, the Castaway Creek lazy river is a fan-favorite of Moms & Dads worldwide. A thrill seakers haven, with the world's tallest and fastest water slides - like Summit Plummit, featuring a 12-story, 360-foot drop! And for a relaxing afternoon in the sun, the 1-acre wave pool, sandy beaches and lazy river balance out the adrenaline-pumping slides. 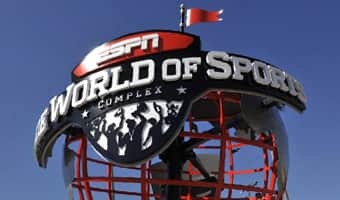 As a participant in an ESPN Wide World of Sports Complex event, specially-priced Walt Disney World Resort Theme Park Tickets are available to you and your traveling team/spectators. When making decisions on which parks to visit, be sure to review your event travel requirements. 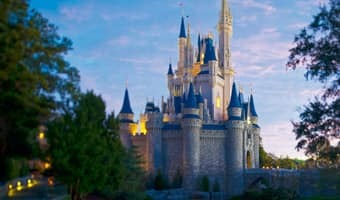 For some events, a minimum Theme Park Ticket package is required as part of your event registration, available through Disney Sports Travel or one of our approved travel providers. Shop on Main Street, U.S.A. as the crowds exit the park or revisit your favorite attraction. See as much of Fantasyland as possible. Visit Mickey's PhilharMagic and the new Under the Sea-Journey of the Little Mermaid as well as Enchanted Tales with Belle. Grab a quick bite to eat for lunch at Gaston's Tavern or Be Our Guest Restaurant. (Note: Be Our Guest Restaurant serves Quick-Service food until dinner reservations which are required at 4 pm. Get in line by 2 pm to assure that you get to experience this unique dining experience). If you are looking to meet Mickey and Minnie, head over to Town Square Theater where meet and greet opportunities are available throughout the day. The line thins out a little bit in the evenings, but is rarely short, so get a Fastpass if possible. If the evening parade is offered twice, explore Tomorrowland and attend the second showing. Ride Space Mountain followed by a ride on the Astro Obiter, Buzz Lightyear's AstroBlaster or Monsters, Inc. Laugh Floor. If it's offered, catch the second showing of the Main Street Electrical Parade and the Wishes Nighttime Spectacular fireworks show from Main Street, U.S.A.
Head directly to Soarin® and The Seas with Nemo and Friends® in Future World West. Then make your way over to Future World East to ride Test Track® and the intense Mission: SPACE®. Build your own virtual roller coaster inside Innoventions®. If time allows, visit the World Showcase when it opens at 11 am. Be sure to visit Maelstrom in Norway and the Gran Fiesta Tour Starring the Three Caballeros in Mexico. 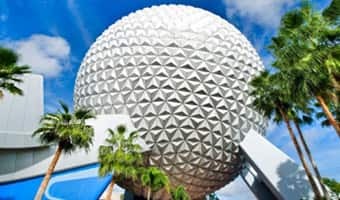 End your visit with a ride on Spaceship Earth which usually has a shorter line on the way out. Visit Future World first, although most rides in this area close at 7 pm, the more popular attractions remain open until park closing. Choose to ride on Soarin or Test Track in Future World. Also consider stopping by The Seas with Nemo and Friends or the intense Mission: SPACE. Build your own virtual roller coaster inside Innoventions. Spend the evening in the World Showcase and be sure to visit Maelstrom in Norway and the Gran Fiesta Tour Starring the Three Caballeros in Mexico. Secure your spot around the lagoon to watch the fireworks presentation of IllumiNations: Reflections of Earth. Head directly to Soarin, The Seas with Nemo and Friends, Living with the Land, and Captain EO in Future World West. Then make your way over to Future World East to ride Test Track and the intense Mission: SPACE. Stop by Innoventions where you can build your own virtual roller coaster. After 11 am, make your way to the World Showcase but don't forget to pick up your F.O.N.E for Disney's Phineas & Ferb: Agent P's World Showcase Adventure. Be sure to visit Maelstrom in Norway, the Gran Fiesta Tour Starring the Three Caballeros in Mexico, and the show in the American Adventure pavilion. Secure your spot around the lagoon to watch the fireworks presentation of IllumiNations:Reflections of Earth. Kick-start the day by heading to Toy Story Midway Mania!®. This ride fills up quickly so hit it early or get a Fastpass® in the beginning of the day. Then head over to The Twilight Zone Tower of Terror™ and Rock 'n Roller Coaster® Starring Aerosmith. Next, take a ride on Star Tours®- The Adventures Continue Attraction then head over to the Indiana Jones™ Epic Stunt Spectacular or check out Lights, Motor, Action!® Extreme Stunt Show®. Begin your day with The Twilight ZoneTower of Terror and Rock 'n Roller Coaster Starring Aerosmith. Next, take a ride on Star Tours - The Adventures Continue before heading over to the Indiana Jones Epic Stunt Spectacular or check out Lights, Motor, Action! Extreme Stunt Show. Grab a Times Guide and watch the Pixar Pals Countdown to Fun! Parade. Stop by The American Idol Experience where you can vote for your favorite singers. If there are two presentations of the Fantasmic! Show, go to the first one but be sure to get in line early. Then make your way over to Toy Story Midway Mania! as the line tends to decrease as the park closing time approaches.If you are not in line before the park closing time, you will not be admitted to ride. Kick-start the day by heading to Toy Story Midway Mania!. This ride fills up quickly so hit it early or get a Fastpass in the beginning of the day. 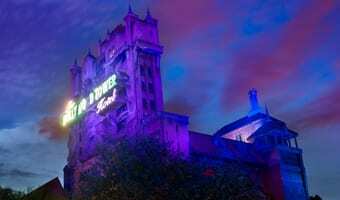 Then make your way over to The Twilight Zone Tower of Terror and Rock 'n Roller Coaster Starring Aerosmith. Once you're done with the thrill rides, make your way over to Beauty and the Beast- Live on Stage! Secure your spot for the Pixar Pals Countdown to Fun! Parade. Check out Star Tours- The Adventures Continue then head over to the Indiana Jones Epic Stunt Spectacular or check out Lights, Motor, Action! Extreme Stunt Show. Stop by the Studio Backlot Tour and The American Idol Experience. Make your way to Asia® Land to ride Expedition Everest® and Kali River Rapids®. Next, make your way over to the Kilimanjaro Safari® Expedition and the Pangani Forest Exploration Trail. Head over to DinoLand U.S.A.® to ride on Dinosaur, and Primeval Whirl®. Grab a Times Guide and experience the Festival of the Lion King before you go! Check out the Times Guide for the Festival of the Lion King but try to arrive at least 30 minutes early! Stick around Discovery Island® to enjoy the parade if scheduled, otherwise head over to the Kilimanjaro Safari Expedition and the Pangani Forest Exploration Trail. Go to Asia to ride Expedition Everest and Kali River Rapids. Head over to DinoLand U.S.A. to ride on Dinosaur and Primeval Whirl. Check out the Times Guide as you enter the park. Head toward DinoLand U.S.A. to ride on Dinosaur, Primeval Whirl, and see Finding Nemo- The Musical. In Asia, ride Expedition Everest, Kali River Rapids, and the Maharajah Jungle Trek® Attraction. Don't miss the Festival of the Lion King but try to arrive at least 30 minutes early! While you are in Camp Minnie-Mickey take some photos with your favorite characters. Next, make your way over to Kilimanjaro Safari Expedition and the Pangani Forest Exploration Trail. Wander through the Discovery Island® Trails around Tree of Life® and visit It's Tough To Be A Bug®. Pick up a Times Guide as you enter the park to help you plan your day. Lines can become long so be sure to use the Fastpass Service® Service on more popular rides so that you can make the most of your time at the parks before your game. Soarin and Test Track can develop long lines, so get a Fastpass to Soarin and wait in line for Test Track to enjoy the interactive queue. If you would like to make dining reservations, stop by Guest Relations to check for availability. Otherwise, check out the many dining options around the countries. Lines can become long so be sure to use the Fastpass Service on more popular rides so that you can make the most of your time at the parks before your game. Lines can become long so be sure to use the Fastpass® Service on more popular rides so that you can make the most of your time at the parks before your game. 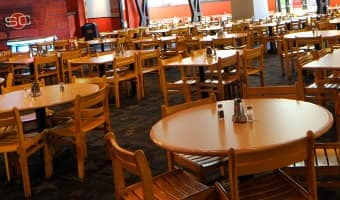 If you would like to make dining reservations, stop by Guest Relations to check for availability.